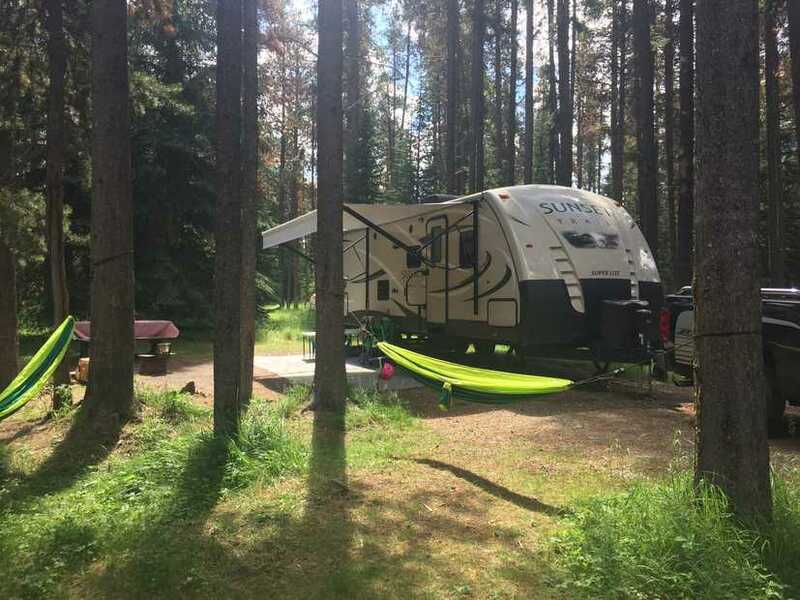 When we purchased our trailer, our list of places that we wanted to camp grew significantly and over the Canada Day long weekend, we camped at Whistlers Campground in Jasper. Other than passing through, we hadn’t been to Jasper since 2005 so the camping trip was the perfect way to introduce the kids to this glorious place that’s right in our backyard. 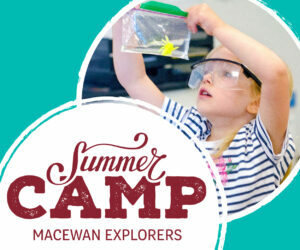 Located within walking and biking distance from Jasper, Whistlers Campground was close enough if we had to pop into town if we needed something – or to grab some ice cream. As someone who generally picks campgrounds based on if there is a beach nearby, I wasn’t too sure how I would fare but my sister in law had told me that Lake Annette would fulfill all of my beach desires. I honestly wasn’t too convinced at first because well mountains and water near mountains are cold. But when we went to the beach the first time – it was amazing. The weather was hot and even though the cold water was still cold, it was a perfect balance. Sharing the same parking lot, Lake Edith is there too and a favourite place for many as well. With a rocky bottom, the kids much preferred Lake Annette for it’s more sandy bottom as well as the fact that it gets more sun – which makes it feel less cold. Whistlers Campground has one main park as well as many natural play areas located on the trails all around the campground. The natural areas are the perfect stop when you’re walking or biking on the trails or on the way to the park, and chances are you’ll see some wildlife along the way! We loved camping at Whistlers Campground so much that we’ve decided to make it a yearly tradition! Make sure you’re following Just Another Edmonton Mommy on YouTube because 2018 will be filled with even more videos!